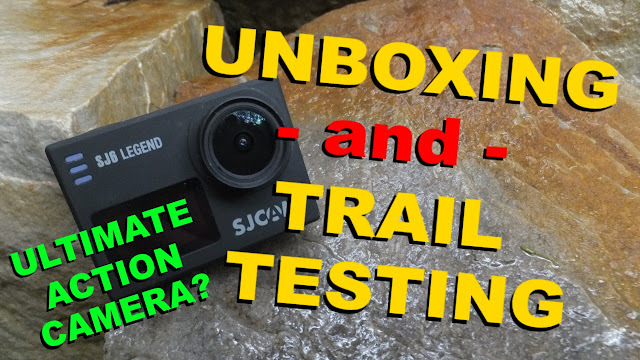 SJ6 Legend | Ultimate Action Camera? 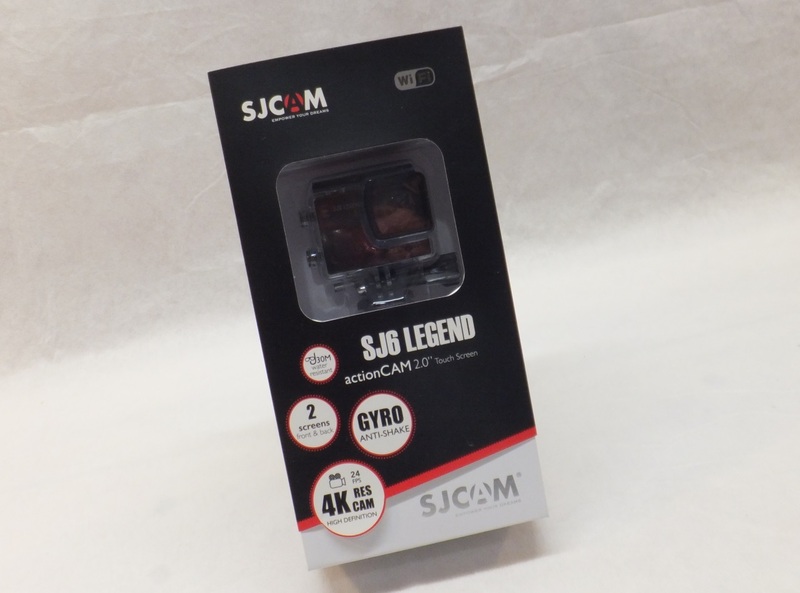 The SJ6 Legend is a new feature packed action camera by Xtreme Sport. The highlights of this camera include the ability to shoot in super high resolution 4K @ 24, a gyro anti-shake that will keep things smooth, distortion correction than reduces fish-eye, a wicked 16MP camera and touch screen navigation. Fatbike Republic reached out to Xtreme Sport who dispatched a SJ6 Legend and a selection of neat accessories for testing out in the wild. The SJ6 Legend comes with an impressive list of features crammed in its compact frame. No longer will you need to navigate through a maze of menu options by pressing buttons, the SJ6 has a sweet 2” LCD touch screen on the back that allows you to access all the camera functions. An additional 1” LCD screen on the front provides a reference to the camera’s status: current mode, resolution/frame rate, elapsed time/pictures taken, battery status and current time. The SJ6 can be controlled through a wireless RF control, can link up to your phone through WIFI (IOS & Android) and can support an external microphone (extra). The 166 degree super-wide angle lens provides an amazing field of view and the rechargeable 1000mAh Li-ion battery provides plenty of time to capture crazy video and pictures. 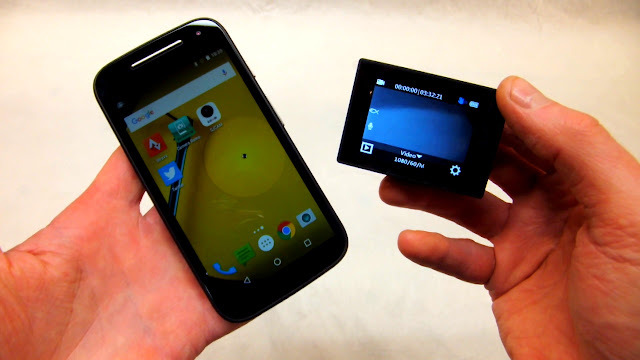 The action is captured on a MicroSD card, with a mini-USB port used for charging and a micro-HDMI that can be used to transfer data. I recommend reading the enclosed manual and downloading the User’s Manual to familiarize yourself with all the menu options. Or you can just play with it as the menus are relatively intuitive once you learn the lingo. Be sure to check out the unboxing video below for more detail. 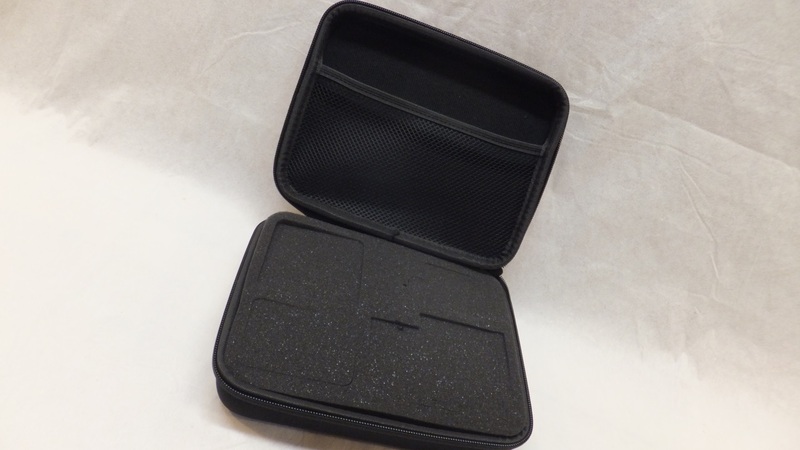 Medium Hardcase – A foam padded insert with tear away pieces to fit the SJ6 and other action cameras. 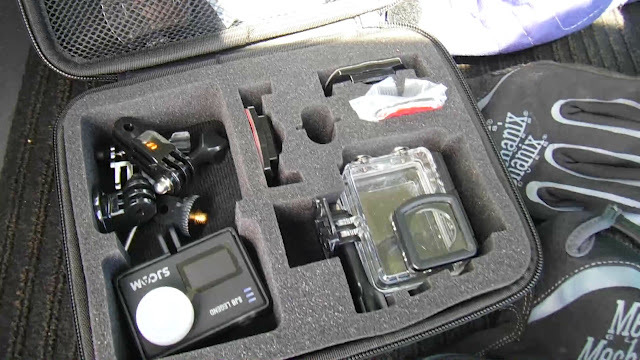 Measures 8.5″ x 7″ x 2.5″ and has enough room for the camera (inside the waterproof case), charger and a range of mounts and accessories. 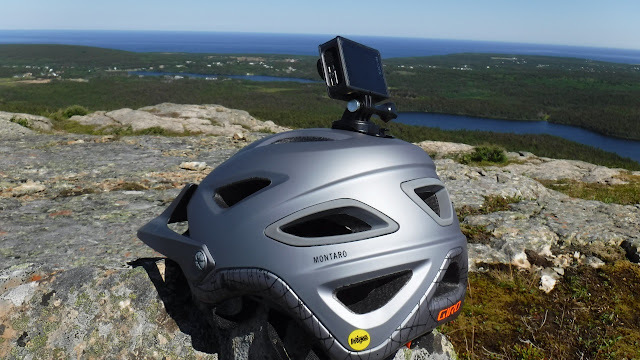 Sport Jaws Flex Clamp - Clamp your action camera to virtually any object ranging in size from 0.25″ to 2″ (0.6cm to 5cm) in diameter. 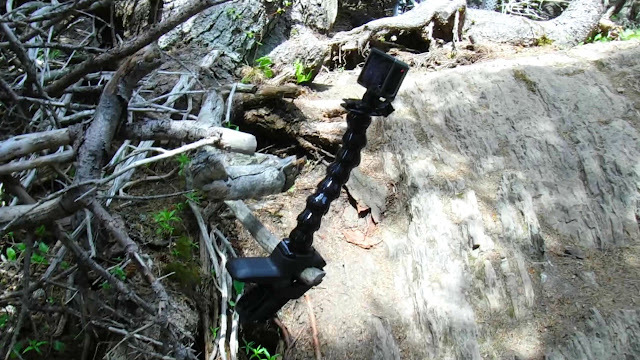 Attach the camera directly to the jaws clamp for low profile mounting, or use the optional 8″ (20.3cm) 6-way adjustable neck to achieve outstanding angles and mounting positions. 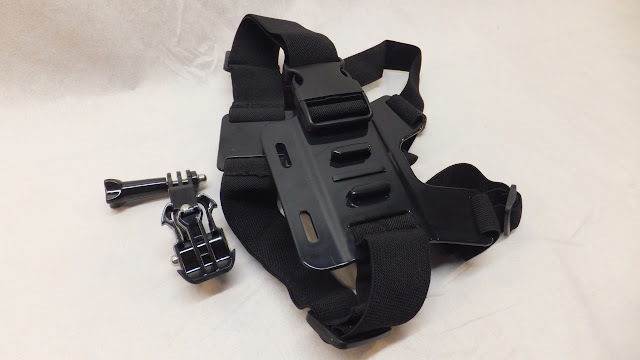 Adult Chest Harness - Adjustable elastic banding with a hard plastic mounting buckle, coupled with a 3-way adjustable buckle (included), allows you to capture just about every angle and perspective your looking for! 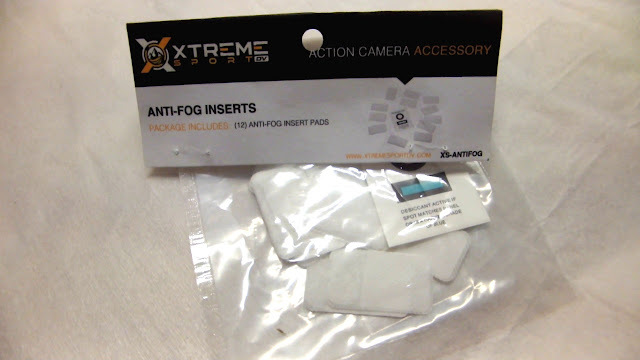 Anti-Fog Inserts - Just slip one or two anti-fog inserts into the waterproof enclosure and seal. 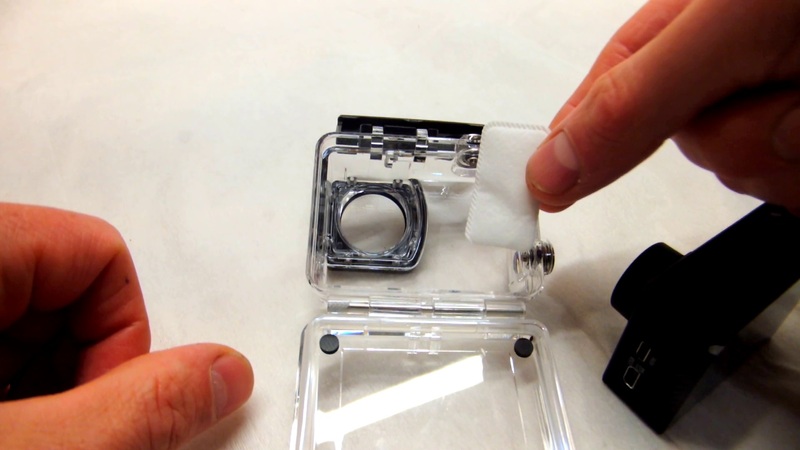 Humidity trapped within the sealed case will be contained in the anti-fog pads. Great when shooting in high humidity environments. 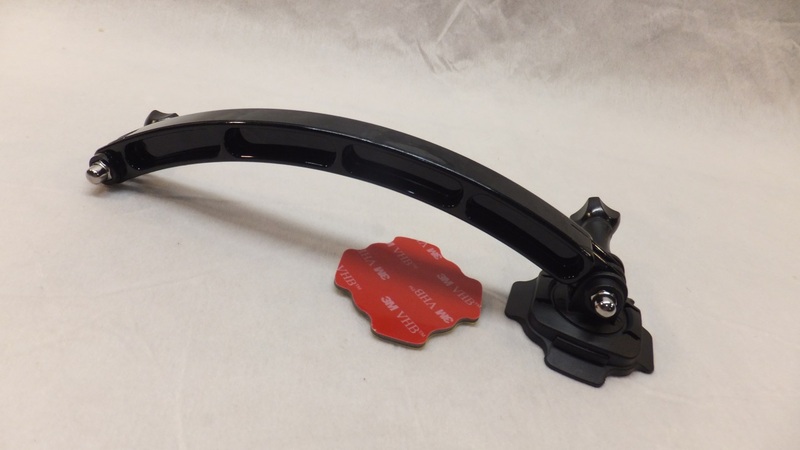 Rotational Arm – This hard plastic 7.5” extension arm mounts to your helmet on a rotational base. 3M adhesive pads securely mount the base to your helmet. 360º of rotation provides a unique perspective. Wireless Watch Remote - This wireless remote control provides easy, convenient camera control from the comfortable wrist band. Fully weather resistant the wireless watch is able to remotely power off the camera, select video or images modes, enable/disable wifi control and take a series of burst shots. Check out the detailed unboxing video. 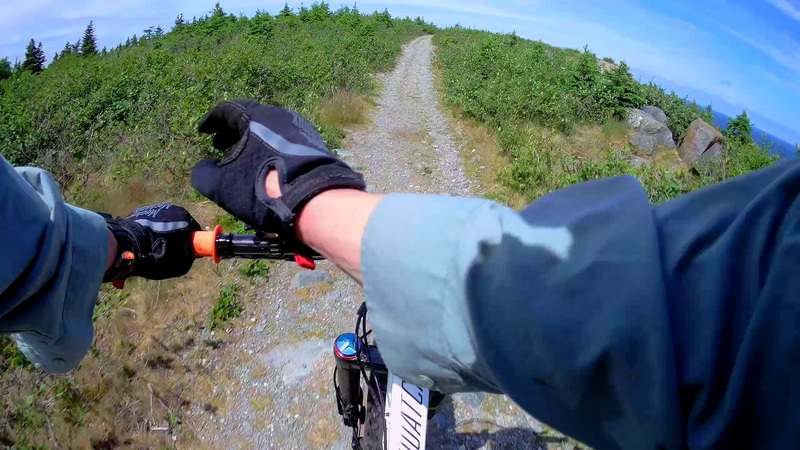 While writing about an action camera can be helpful, seeing it in action gives a much better picture. 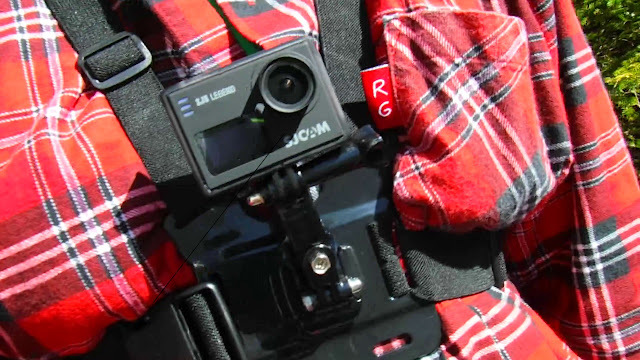 So be sure to check out the video below showing the camera and accessories in action. Charging the camera was a simple matter of plugging the USB cable into the camera and into your computer or USB charge adapter. I read the manual a couple of times to become familiar with the terminology and then started playing with the camera menus and touch screen, which is actually quite intuitive. During countless hours of testing I played with different setting and menu options and discovered that the SJ6 Legend can do a lot of stuff . . . much more than I would need . . . but is still dead simple to use. The 2” rear touch screen being a large chunk of the simplicity. Syncing the camera up to your phone is as simple as downloading the app and following the instructions. This will allow you to operate your camera, showing a preview of what you are capturing, from a remote location. It’s pretty neat. The “bits-n-pieces” work as they should and all connections were secure with no camera flopping when the going got rough. 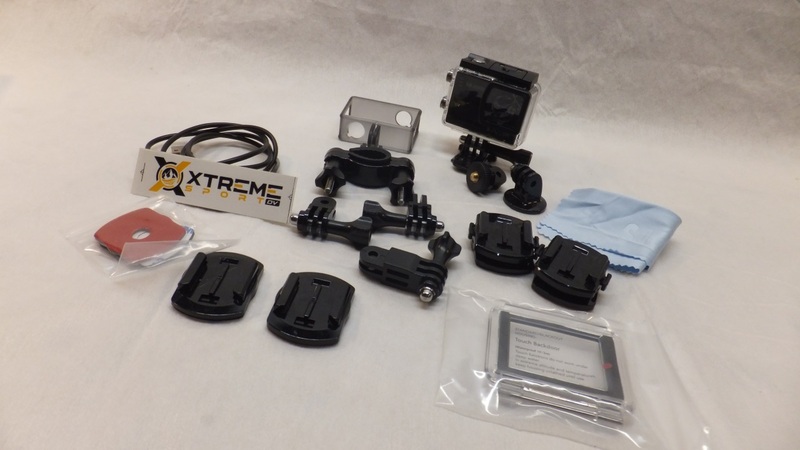 These components are also compatible with many other similar action cams. The SJ6 even mates up successfully to the Giro Switchblade and Montaro camera connections. The 1000mAh Li-ion battery would last between 2 - 2.5 hours of use, and to capture those special moments I used a 32g micro SD. I actually ran out of battery before I ran out of card space. It is recommended that you get a SD card with at least 80mb/s if shooting a lot in 4k. This camera shoots great video. Using an extra wide field of view, distortion correction and gyro stabilization allows you to capture some amazing action shots. The 16 MP camera resolution, combined with the distortion correction feature allows the SJ6 Legend to take some really nice pictures as well. Medium Hardcase – I did not realize how useful a case could be until I actually used it. All the “bits-n-pieces” as well as the camera and a few accessories fit inside this hard shelled zippered case. When I open the case, the foam insert had kept everything in its place . . . even if I was less than gentle when moving the case around. This is a must have. 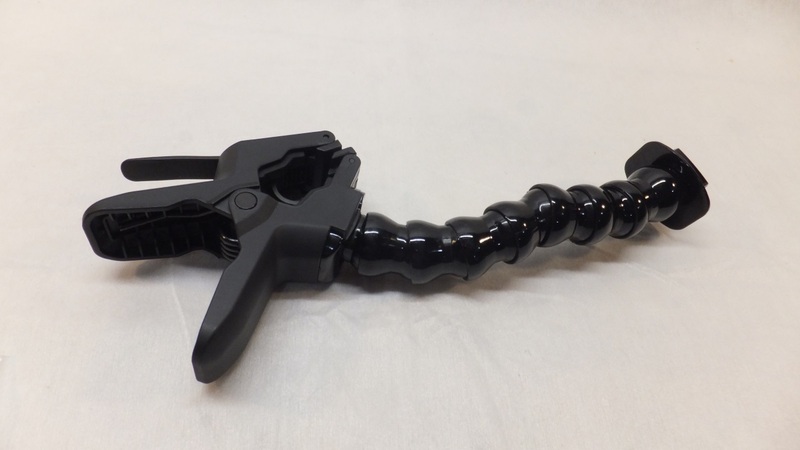 Sport Jaws Flex Clamp – Every year I go through several of those “octopus leg” type camera mounts. Their slim design does not hold up to the use that I put it though. When out on the trail I would carry Sport Jaws Flex Clamp on the outside of my backpack. This camera mount is very robust (yet flexible) and super secure when clamped to a tree. Adult Chest Harness – This will give you that cool the first person, bars and gloves point of video. The elastic bands are actually quite easy to put on having only one buckle to snap everything in place. It fits snug, but not constricting. Mount the camera to the 3-way adjustable connector, adjust the angle based on your riding position and start pedaling. Anti-Fog Inserts – These are another must have especially during the winter months when moving from the warm inside to cold outside. A steamy waterproof case does not produce great video or photos. I also found them helpful when shooting underwater shots when the warm waterproof case was placed in the cool stream. 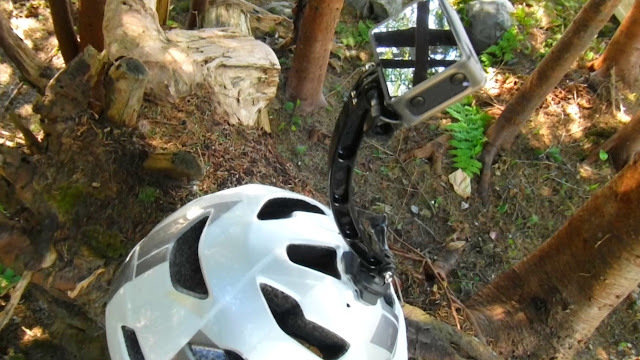 Rotational Arm – This arm will make it appear that a drone is chasing you down the trail hovering just above your head. It can be rotated for a side view and by adding a few “bits-n-pieces” you can truly create some interesting camera angles. 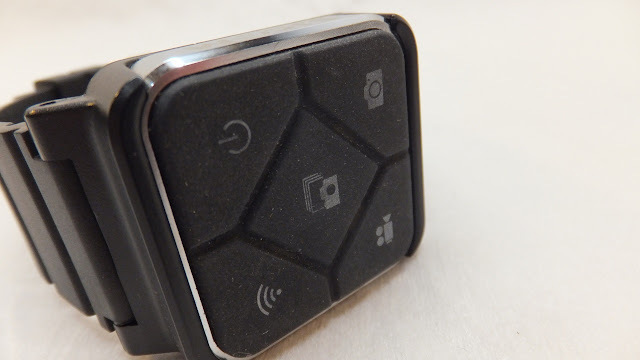 Wireless Watch Remote – By far this is my favourite accessory. This watch allows you to control the SJ6 by tapping one of four buttons on the watch face. 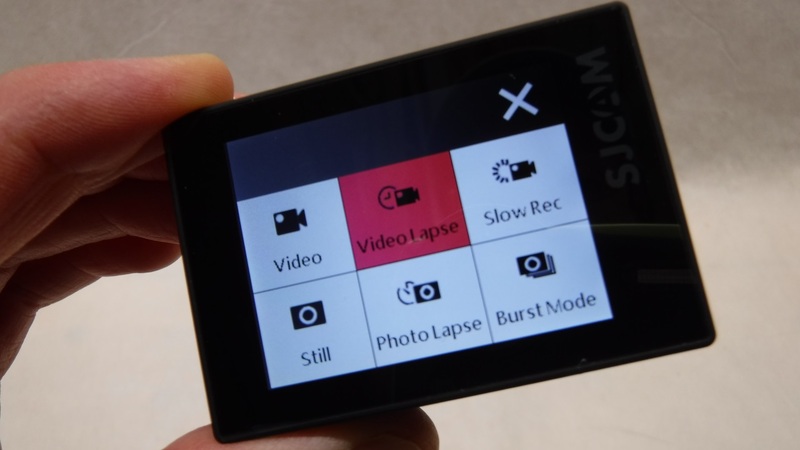 No longer do you have to fumble pressing buttons on the camera, only to mess up the field of view. It worked for me up to 30ft from the camera and when inside the waterproof case. The camera’s LCD screen practically walks you through the synching with the watch and I only had to do it once. The watch will allow you to shoot video, pictures, burst pictures and turn off the camera. This is a must have. So enough of the writing . . . this is what you can do with SJ6 Legend and accessories. Watch the video! This camera was simple enough to use right out of the box shooting amazing video and photos. Yet it has options and features that would definitely keep most shutterbugs happy. With a 4K video shooting option the SJ6 Legend also has you future proofed. The accessories, well they make the camera more versatile and easier to use. And with the money you are saving on getting the SJ6 Legend (over more expensive brands) you can load up on the accessories you want. In my fatbiking camera arsenal . 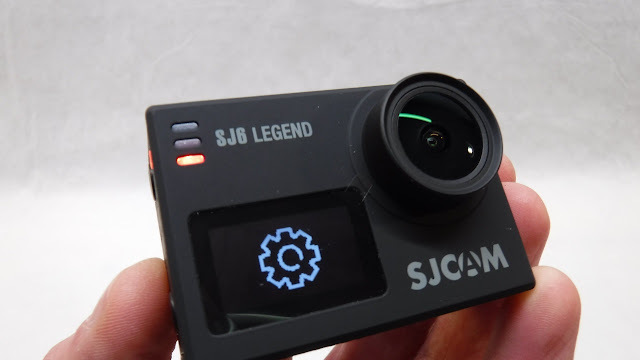 . . the SJ6 Legend is now my go to action camera. If you have finally realized that you can't capture all your exciting fatbike adventures on your phone . . . be sure to check out Xtreme Sport and the SJ6 Legend. This is quite possibly the ultimate fatbiking action camera. So "The 1000mAh Li-ion battery would last between 2 - 2.5 hours of use, and to capture those special moments I used a 32g micro SD. I actually ran out of battery before I ran out of card space". Well. How long did the battery actually last? Battery life is the second most important feature of an action cam (video quality being #1) and most cameras disappoint and fall far short of promises. The battery lasted 2 to 2.5 hours. I tried different settings and was not able to stretch it to the 3 hrs mark.